When choosing a location to get married, the place you'll get ready is inevitably part of the decision. Does your venue have a getting-ready room for you? What about your spouse? What is the space like? Is it pretty? Is there good light? Is there enough room for you and your entire wedding party? If you're getting married at Mallard Island, the getting-ready spaces are simply exquisite. This image was taken on the floor (yes, the floor!) of the "bridal penthouse". The bride is simply reclining on the floor, with the brilliant light from the open windows illuminating her face. Looking for a three thousand square foot penthouse to get ready in? Mallard has that for you, and it really has to be seen to be believed. There is a salon bathroom with spa chairs and a huge rainfall shower. There are enormous floor-to-ceiling windows that offer up brilliant views of the bay. This space has plenty of room. You can get ready there, your wedding party can get ready there, you can practically have your entire wedding take place in this spacious suite! There is gorgeous light, ample space, and wonderful amenities that make the getting ready part of the day a total breeze. Mallard might call the other getting-ready space the "groom's shack", but if I were getting married here it's where I would want to get ready! This space used to be an army barracks, then it was a clam shack, and now it's a carefully renovated and restored cozy cottage. I love the dramatic walls and decor and beautiful light in this space. Don't be afraid to switch it up - they might call the two venues the "bridal penthouse" and the "groom's shack", but both spaces are amazing! I've photographed many wedding at Mallard, and would love to chat with you about the getting-ready options there! 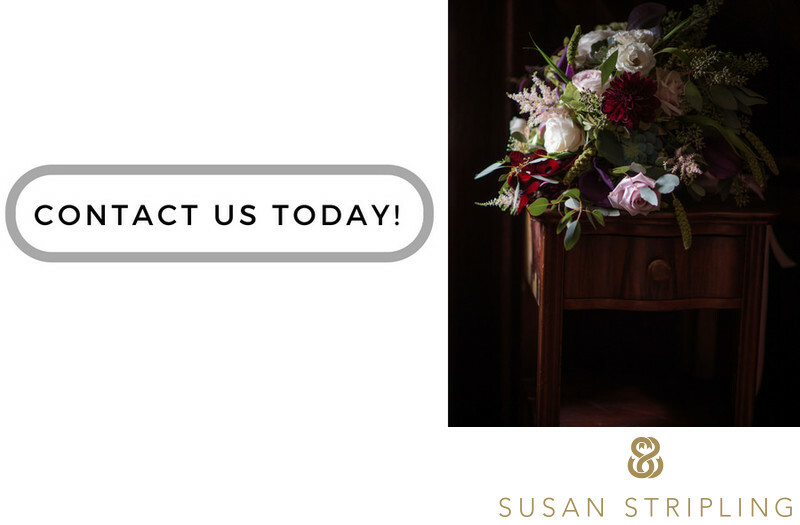 Please don't hesitate to get in touch, I'd love to hear from you! Keywords: Jersey Shore (24), Mallard Estate (24), Manahawkin (24). 1/640; f/1.4; ISO 200; 85.0 mm.